Pioneers in the industry, we offer sports wear, sports wear track pants, jogging pant and kids school uniforms from India. We are actively committed to offer a wide assortment of Sports Wear. This sports wear is high on demand among customers for its sweat absorbent ability & high comfort while playing. The offered sportswear is expertly designed by designers following the trends of market utilizing finest quality of fabric & advance stitching machines. Our sportswear is provided in varied style and designs accordingly with the customer’s requirements. We are actively committed towards offering our clients a qualitative range of Sports Wear Track Pants. Suitable for morning walk or jogging, these products are highly appreciated by our customers for their sweat-free and color fastness features. 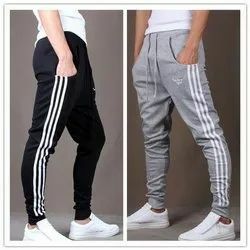 The track pant provided by us can be customized as per the needs of customers. We offer this track pant at market price within a given time frame. In order to meet excellent quality standards, we are supplying Jogger pants. We are actively committed towards offering our clients a qualitative range of Jogging Pant. Suitable for morning walk or jogging, these products are highly appreciated by our customers for their sweat-free and color fastness features. The track pant provided by us can be customized as per the needs of customers. We offer this track pant at market price within a given time frame. 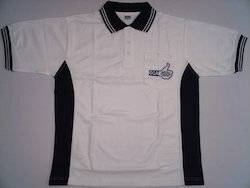 Our company is among the most sought after providing Kids School Uniforms to our various clients. Our offered Kids school Uniforms is specifically designed by making use of optimal-grade fabric which we acquired from specialized vendors of the industry. Apart from this, by dispatching the same to the customers' premises in committed time-period, we have mustered huge client-base.